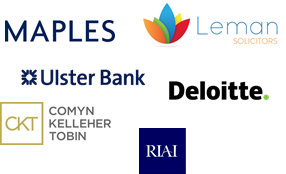 The Irish Commercial Mediation Association (ICMA), in conjunction with Eversheds Sutherland, Hayes Solicitors, Matheson, A&L Goodbody, Maples, Deloitte, Leman Solicitors, Royal Institute of the Architects of Ireland, Comyn Kelleher Tobin and Ulster Bank, are delighted to invite you to join its conference entitled “How to get Past Impasse in Mediation” which will take place on Friday 5 April 2019 in The Stephens Green Hibernian Club. Former High Court and Court of Appeal Judge and Practising Mediator, Mr. Paul Gilligan will provide the opening address for the conference. We will then have practical insights from some of the most experienced mediators, business influencers and lawyers operating in the dispute resolution space. 09.00 Operation Transformation: Breakthrough Moments in Mediation Ms. Mary Lou O’Kennedy, Director, Oak Conflict Dynamics Limited, sharing her experience of the factors giving rise to breakthrough moments in mediation; the personalities, hidden scenarios and outcomes. 11.30 Mediation in Ireland Minister Josepha Madigan, Author, Appropriate Dispute Resolution (ADR) in Ireland, and Champion of the Mediation Act 2017.